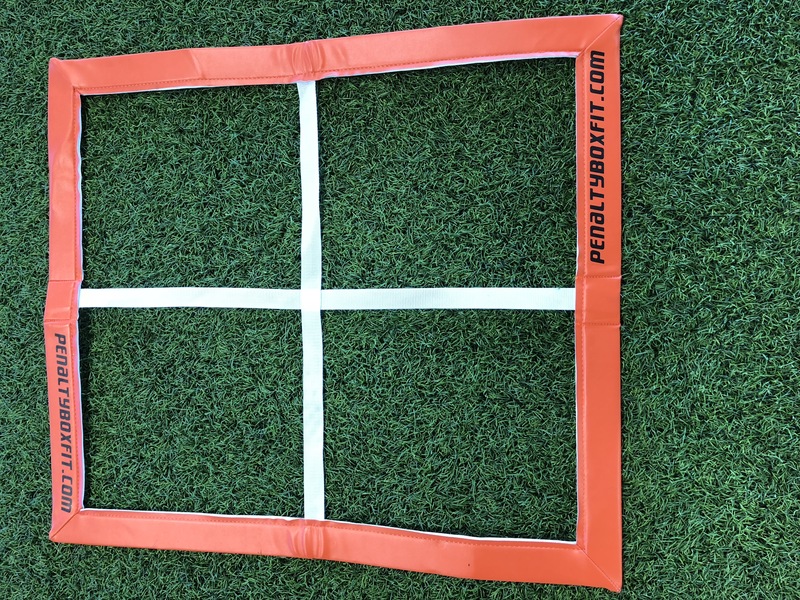 March 21st, 2018: EXCELLENT TRAINING AID FOR GOALKEEPERS! 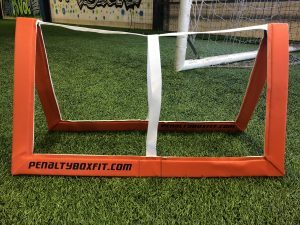 At Just4Keepers, we have partnered up with PenaltyBoxFit, using their extremely simple yet effective training aid. 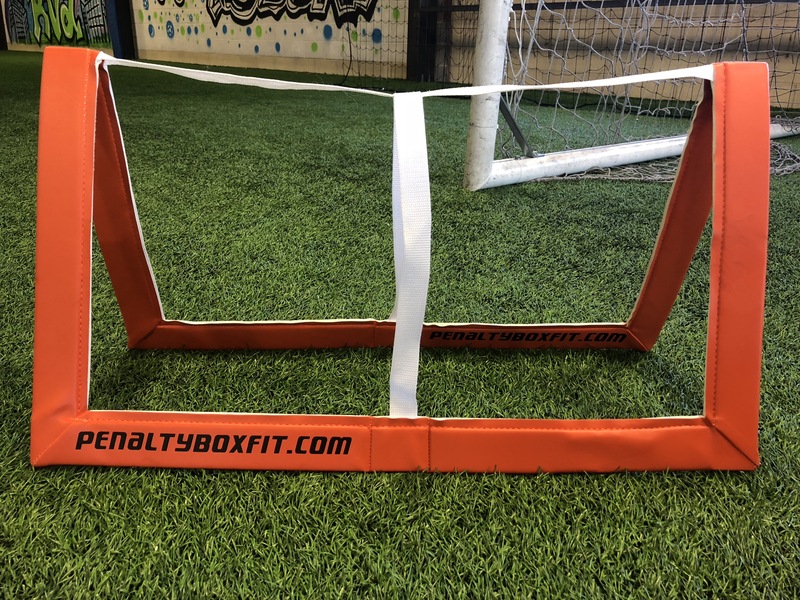 If you would like to add this to your training, please visit penaltyboxfit.com and enter J4K10 to get a discount off your purchase! Goalkeeper Fast. Goalkeeper Fit! Here are a few examples of drills that we have done, but the possibilities are endless! May 14th, 2017: Breaking down the block saves! To start the session, it is important for the keepers to feel loose and comfortable, so this activity encourages them to get limber whilst also staying as tall as possible to reach higher balls. This progression focuses on short explosive movements, handling, and recovering to the angle of the shot. We play with the feet here, as this is a key component of any drill for the modern keeper. Incorporate playing with the feet in ALL drills! We are still working on basic handling by stepping in and getting set for a contour catch, and then move into the K barrier block technique. This involves the knee closest to the near post being up, and the trail leg closing up the “5 hole” in hockey terms (the space between the legs). The trail leg also covers the far post. Here I ask the keepers not to use their hands as much as possible, as the hands will be in a different position (next progression), and it enables the keeper to overcome the fear of getting hit from close range. Important to note that the upper body remains upright. Now we focus on the hand positioning in the block save. Initially, a quick back set before the contour catch creates distance from the attacker. After the catch, the keeper needs to make up ground and get set. The barrier with the legs is established, but the hands and arms are spread wide to cover as much of the goal as possible. The keeper then reacts to the served ball and moves their hands slightly forward to meet the ball. This is important, as this will project a shot away from the goal. If the hands remain behind the body, a shot that hits the hands will end up going behind the keeper towards the goal. The next step is to put both the leg block and hand save together in a two save sequence. Again, the back set is used to create distance from the attacker (and also work on basic handling), followed by an aggressive but controlled movement to challenge the attacker. The last progression in this session was a bit of fun, and worked on simply making a kick save. Important to keep the toe up here, as toe down would simply make a ramp for the ball to take off of! Note the position of the arms, the upright body from a starting position, and the simple punch through the ball to get it to safety. Here is a quick video of the session detailed above that also includes decision making. Hope you enjoyed the session! February 15th, 2017: RESIDENTIAL CAMP INFORMATION AND REGISTRATION! This summer, J4K is proud to announce the inaugural Virginia Residential Camp, to be held at The Blue Ridge School, from July 24th-27th. Coaching staff includes current and ex professional players and coaches, as well as the opportunity to be coached by, snap pictures, and sign autographs with Travis Worra, D.C. United keeper and J4K pro sponsored keeper! For registration details, please click here. February 5th, 2017: In session: Theme- Quick feet, reactions, staying big, and making the save. Tonight we focused on quick feet and reactions, incorporating a variety of save techniques and skills. The use of a balloon in some of the drills is intended to sharpen the focus and touch on the tap whilst necessitating the need for quick movement. If there are no balloons, a one handed cushioned catch can be used instead. Here’s the rundown! The use of a balloon in this drill encourages a good soft but controlled touch, as well as demanding quick feet both directions. The basic handling works on getting in a set position prior to the serve after the movement, building body control. The service can be volleyed for an increased skill focus. These exercises can be adapted and built upon from a conditioning or technical aspect, adding different services (volleys, hand serves, etc…) and as always, it is important to work both left and right sides! This was a great session, with all the keepers having played either big time futsal, soccer, and basketball games throughout the week! November 20th, 2016: In session: Theme- Recovery to ball line, including playing with feet, handling, and diving. 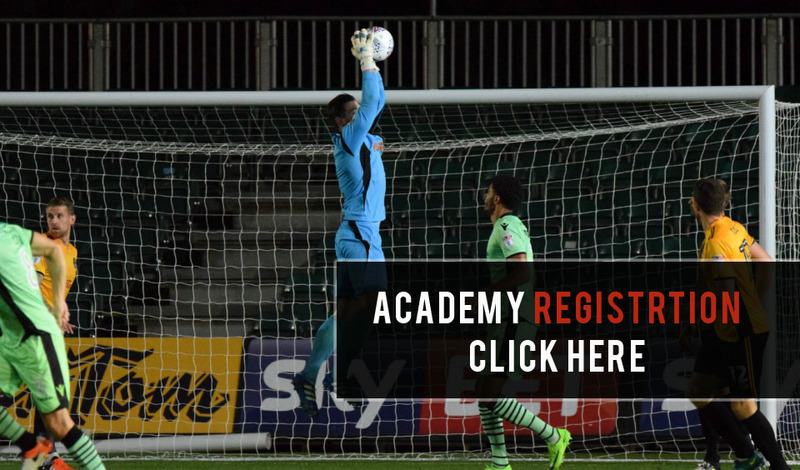 A warm-up that enables all keepers to working on handling, kicking, movement and quick feet. The footwork can be made specific through the cones and especially when moving from server to keeper, but the keepers were tired after a long tournament weekend, so this was just to get them moving! This led into some quick prep steps, playing with the feet, and initiate contact with the ground on a dive. Next up was movement to find the ball line before handling a near post shot. Really looking for the keepers to move quickly but balanced, and incorporate prep steps and crossover steps to attack the next space. The natural progression led to the same movement, but this time handling a shot that goes across their body to the far post. It is important to note that in both this and the previous drill, the keeper should maintain a set position until the ball is kicked. It is difficult not to cheat as the keeper already knows where the ball will be going and may start to lean towards the near or far post. This is acceptable as it enables a variety of techniques to be addressed at the micro level. This would lead in to a progression in which all cones would be removed, and the keeper would perform the same movements, but wouldn’t know where the shot would be going. This would force them to hold their ground and react to the shot. Our last progression incorporates handling, peripheral vision enhancement, movement, readjusting to the ball line when moved, diving, and underarm throwing with each hand to maintain the right/left balance. It also works on quickly getting the hands back to a comfortable handling position. And what do we have left to finish our session? Well…duh..Keeper Wars! To add a conditioning aspect to the drills, or if time is short, each rep sequence that is performed to just one side can be compounded, with both sides being worked simultaneously. 4 reps of footwork into playing with right foot (a) into left dive, near post (b) (abababab) followed by 4 reps of playing with the left foot (c) into a right dive, near post (d) (cdcdcd) can be combined by doing 4 reps of (abcd). Got to keep them alert! November 14th, 2016: In session: Handling, footwork, playing with feet, recovery to feet, and diving. A warm-up that works on hand-eye coordination, body control, and engaging the brain. Cushioning the ball with one hand, and the opposite leg drives the body up to starting position. Then into a progression that incorporates hitting the ground and increases mental focus. The same opposite hand/leg activity remains the same, but increased mental focus is needed by adding a collapse dive, focusing on keeping the recovery drive leg on top in the dive. The cross body service for a collapse dive changes the angle of the line of the ball, whilst also ensuring that the “non-working” keepers have to maintain their focus on the drill pattern. 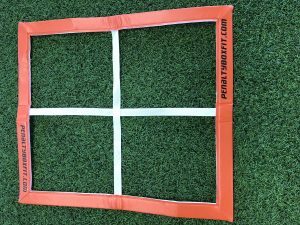 This pattern introduces playing with the feet and works on quick movement. The body turns on the same side as the foot that played the ball into a set position on the goal line. Ensure that the collapse dive is on correct angle (lateral or slightly towards and through the line of the ball) and that the hands go to the ball, not ball to hands. A little fun to raise the heart rate and add a strength movement. Turn the same side as the foot that played the ball into prone position. Trying to avoid the ball works on explosive movement (any movement to react and avoid the rolled/kicked ball is good), and the recovery to feet and quick turn gets the keeper set. Volleying introduces more advanced handling to the session, and challenge the keeper by having them return the volleyed ball to the server BEHIND them, based on the mental snapshot that they take when seeing the server roll the ball to be avoided. This broadens the keepers mental horizon whilst narrowing the focus on each skill performed. Here we work on high ball, footwork, recovery to feet, and handling. Ensure correct leg is used as the drive/protection leg. Work on giving the keeper shout for the quiet keeper. Footwork should incorporate a drop, cross-over, and prep step, with a positive angle of attack on the save attempt. Work on quick recovery to feet and footwork back into a set position for the front smother. And last progression works on high ball, footwork, diving, recovery to feet, playing with the feet, and extension diving. Body control is key throughout the drill, again working on the high ball to a low collapse, although front smother has been replaced with playing with the foot closest to the next space that you want to attack. This puts the keeper a step quicker into the prep step, working on leg strength to drive for extension save. And a good old game of rock ’em, sock ’em Keeper Wars to finish! October 30th, 2016: In Session: Mobility, flexibility, hand-eye, handling, collapse dive, extension dive. Halloween Eve- Perfect for the Orange and Black! And now add a hand-eye twist with footwork and handling. Some may ask why have the keeper facing the goal? To engage the brain! You can actually see the point at which Jake puts it all together. You can read about it here! And prior to Keeper Wars, we work on foot-eye coordination and an extension save! Get it Haley! October 24th, 2016: Session: Because the hands make the feet look good! June 10th, 2016 – TRAINING TIMES! Please note that ALL J4K sessions are currently held on SUNDAYS at the OwnTouch Southside Facility. If you are a new registering member, click on any of the sessions listed in the “Which Academy Are You Registering For” for the Central VA OwnTouch Southside location on the registration page, and I will confirm your time prior to your first session! May 19th, 2016 – SUMMER CAMP OPPORTUNITIES!! Summer. Summer. SUMMER!! What to do what to do….????? Come and join the J4K summer training groups at these two locations! All aspects of goalkeeping will be covered in these energetic and fun sessions, with the opportunity to earn some free J4K gear! Hit the links below to register for the camps, and see you there! February 26th, 2016 – HOW DO YOU EARN FREE GLOVES AS A J4K KEEPER? 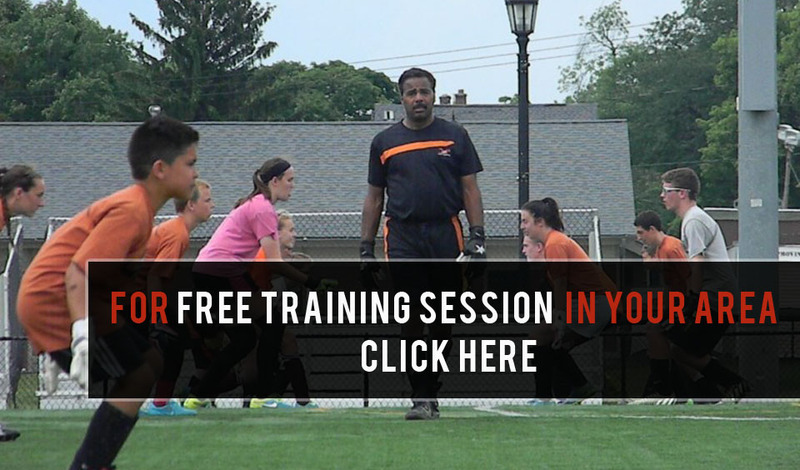 If you are a current J4K of Central Virginia keeper, all you need to do is to spread the word about the J4K training opportunities to your friends. When a new keeper registers with J4K as a result of your referral, you get a free pair of gloves!! What could be simpler? You may never need to buy a pair again! Refer two keepers, earn 2 pairs! FREE! December 1st, 2015 – ESCAPE THE WINTER WEATHER! Now that the clutch of winter weather is descending upon us, join us for indoor training sessions at OwnTouch. All ages and abilities welcome! Email me for further information! August 17th, 2015 – SCHEDULE ADDITIONS! As we enter the busy fall soccer season, J4K has training times on Mondays, Tuesdays, and Wednesdays from 8-9pm at the OwnTouch Southside facility! More opportunities to improve! Hit the registration button at the top to sign-up for one of the sessions! May 4th, 2015 – Parent Review of J4K! January 26, 2015 – J4K Training Action! December 6, 2014- J4K Partners up with Own Touch (Southside)!! J4k of Central Virginia is pleased to announce that a year round academy will be offered in partnership with OwnTouch (Southside)! Own Touch Soccer & Futsal Center is the premier indoor training facility in the Richmond area specifically designed to train, mentor, and develop the individual performance of youth soccer players. This partnership will enable goalkeepers of all ages and abilities to engage in specialized goalkeeping at the Own Touch (Southside) facility. For registration information and to sign-up, please click on the weekly clinic registration link listed above. July 31, 2014 – J4K claims Golden Glove Award! 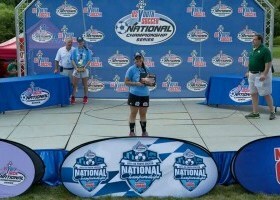 In helping her team win a national title, J4K goalkeeper Ali Sanft was selected as the Golden Glove recipient for the tournament and was selected to the “Best 11 Team”. Ali’s success (coupled with the J4K gloves!) are testament to her commitment and dedication in training. Congratulations to Ali. Flying the J4K flag! July 19, 2014- J4K off to US Soccer Nationals. Pictured is Ali Sanft, wearing her J4K Three G glove, who is heading to the US Soccer Nationals after winning her NPL championship! Good luck Ali. You’re in good hands! July 15, 2014 – Richmond Kickers Representing. 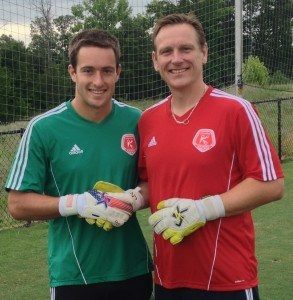 Richmond Kickers USL PRO goalkeeper Ryan Taylor is pictured with his J4K Pride and Glory roll cut glove. Wish him and the Kickers organization the very best as they push for another championship! June 23, 2014- Virginia ID Camp a Success! J4K students attended a 3 day ID camp in Northern Virginia and showcased their abilities. The weather treated us all well, and the students put forward a committed and focused effort for the duration of the course. Excellent organization by J4K coach Larry Dolph, coupled with J4K founder Ray Newland’s humor, ensured that students and parents left with smiles on their faces. If you would like to get in on the fun, contact your nearest J4K coach! Conditioning Exercises for Goalkeepers Using Other Sport Activities. J4k pro goalkeeper endorsee Vincent Dorel wearing his J4K Goalkeeper gloves. Just4keepers Helping keepers ACHIEVE Their Dreams PLUS saving them money! Thanks for being a company FOR the Athlete, NOT the Profits! Tip From One Of The Best Keepers To Have Played IN Goal – Take Note! Visualization – For those déjà-vu moments in game situations! J4K Residential Camp – Summer 2017! Goalkeeping Sessions on Tuesdays and Saturdays at Own Touch! J4K Teams Up with Own Touch (Southside)!!! J4K North Florida goes Retail! J4K National Camp Registration Now Open! Just4keepers helping Goalkeepers and their parents. No other Goalkeeper Academy in Colorado will match J4K!